While many have questioned the viability of India’s 100 GW solar target, the country continued to tread confidently towards achieving its renewable energy target. Lack of infrastructure, clear policies at ground level and inefficient domestic manufacturing have been cited as the major reasons why India could be unsuccessful in this feat. India’s demand for power will continue to grow with an increasing population. As a result, the country is focusing on clean sources of power generation to reduce its overall carbon footprint. However, the country’s manufacturing remains a state of poor affair with 90% of the solar modules, which is the main component of a solar system, being imported into India. In order to protect its domestic manufacturing, the Indian government tried implementing the Domestic Content Requirement and safeguard duties, but that did not help boost domestic manufacturing. The industry continues to rely on imported solar products for large projects in the country. Now, something out of the government’s control is happening – rupee depreciation is hampering the solar development in India. According to the latest CRISIL report, other factors remaining the same for every 10% drop in the rupee, the cost of setting up a solar power plant increases by Rs 30 lakh per MW. During the same time, module prices have also fallen from $0.30 per Watt at the time of bidding to around $0.25 today. However, this fall in prices has been offset by the fall in the Indian rupee. According to the report, developers do not hedge the exchange rate before placing module orders, which has led to losses for them. Now you can do the math if the rupee continues to fall and safeguard duty is levied, the project price is bound to shoot up. More than half of the solar power capacities under implementation across the country will face viability risk as a result. 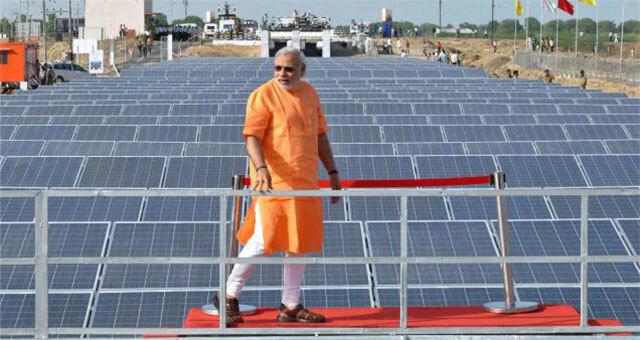 According to the report, these solar power projects are worth Rs 28,000 crore. On top of that, India’s MNRE is also planning to cap India’s solar power tariffs at Rs 2.5 and Rs 2.68 per unit for developers using domestic and imported solar cells and modules, respectively. 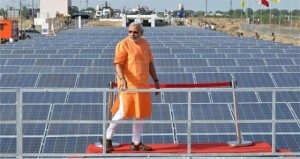 All these factors paint a grave picture of the future solar industry in India, at the moment.